It is officially summer in Oklahoma, and you know what that means. No, we’re not talking about 90-100 degree weather. We’re talking about summer fun! After all, what is this season for if it’s not to enjoy the sun, lap up ice cream, perfecting the cannonball in the pool or lake, and the hours that make the days seem long, lazy and inviting? Of course, you want to make the most of your time too, because let’s face it, these summer hours are precious and you can’t get them back. You don’t want to waste them. Instead, you want to make memories that will last long after the mercury drops. The good news is, you don’t have to go away on a fancy trip or drop a ton of cash to get the most out of the summer season with everything that’s happening from downtown to Grand Lake and all points in between. We’ll even prove it to you. We’ve compiled our comprehensive official guide to a Green Country summer blast that you won’t soon forget. Take these ideas and use them, and you’ll realize you can easily fill up your days with a ton of activities that make summer such a great time of year to live, work, and play in Green Country. Cool, relaxing pools of water are exactly what our bodies crave when temperatures rise to the triple digits, and Tulsa has some really nice ones. From kiddie playgrounds and thrilling slides to lazy rivers, lakes and pools, beat the summer heat at these spots that are sure to keep the entire family cool. If you’re lucky enough to own your own pool, then you’re set — but the rest of us need a place to get wet and wild. Neighborhood pools, splash pads, YMCA pools and, of course, Safari Joe’s H2O Water and Adventure Park are all excellent places to take yourself or the kids for a little cool down. Not every neighborhood has a community pool, but Tulsa has quite a few of them. Some have very affordable swimming season memberships, and some don’t even require that you live in the neighborhood. The Sungate and Forest Creek neighborhood pools in south Tulsa, for example, are open to all Tulsa residents. Tulsa County Parks Department pools are also great places for chilling out, and for a lot less than neighborhood pool memberships too. The Chandler, LaFortune, and SoCo Rec Center pools offer convenient hours, lifeguards on duty at all times and inexpensive daily rates. Most YMCAs have indoor or outdoor pools and are available for swimming laps or open pool sessions and provide membership fees for individuals and families. If you’re on a limited budget, ask if you qualify for their discounted rates. One of Tulsa’s hottest places to get cool is Safari Joe’s H2O. Ride the flumes or take a dip in the wave pool, and then enjoy petting exotic animals like lizards, birds and turtles. 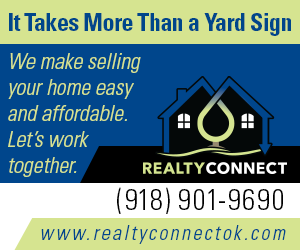 Nowhere else in Green Country can you do all that in one place. Daily and season passes are available to help you get your H2O fix. A beautiful spot for summer relaxing, the Illinois River in Tahlequah is a favorite destination for those who love to kayak and canoe. Public access points are located every few miles along the river, so you won’t have any trouble finding a place to launch from. If you want to float down the river but don’t own the equipment, businesses out there can hook you up with canoes, kayaks, rafts and inner tubes. When it’s 100 degrees outside, sometimes the last thing you want to do is go hang where everyone’s sweating like crazy and getting the worst sunburn of their lives. Doesn’t sound like fun, does it? Taking the family for some inside adventures may be the answer to all that unbearable heat. Tulsa’s got some extremely fun indoor entertainment facilities. Dave and Buster’s, for example, offers fun for kids and adults alike, plus some wildly delicious food. Incredible Pizza is amazing because it’s all-you-can-eat pizza and drinks and then lots of video games, trampoline park, laser tag and an indoor roller coaster. Then there’s Andy B’s, with its clean, smooth bowling lanes lined with huge screens playing music videos. That’s cool. And they also have a video game arcade and a go-cart track as well. And you certainly can’t talk about having extreme fun in Green Country without mentioning Broken Arrow’s Xtreme Racing and Entertainment. In all the world, there are only a few other places that offer the level of virtual reality game experiences it provides. Oh yeah, and they have a killer kart racing track like none other in the state. During these hot summer months, it’s not exactly easy for some of us to get our exercise in, unless we retreat indoors. Climb Tulsa offers indoor climbing adventures that are fun, yet also a great workout. Don’t forget Skateland Tulsa either. They’re still around after all these years, and skating in the air conditioning is a great way to beat the heat. An indoor trampoline park, Sky Zone features freestyle bouncing, dodgeball, basketball rims for dunking and enough to completely tucker out the kids in time for bed. One of the newest additions to the 918 is in Owasso at Wheels and Thrills. The family entertainment center offers laser tag, arcade games, play zone (with slides, swings, and a lot more) and a massive indoor skating rink. Have a craving to throw an axe indoors? Head to Jenks and check out Got Wood Axe Throwing. Throwing axes is a great date night, corporate outing, team building event or bachelor or bachelorette party. Take the kids and establish once and for all who has lumberjack blood flowing through their body. For the artistically inclined, visit places like Tulsa Stained Glass, Pinot’s Palette, Decopolis, and Ziegler Art and Frame. They all offer painting and other art classes to help you work on your creative side and forget that the weather outside is frightful. Check the schedules for times when the whole family can do it. An easy place to escape to the great indoors for some amusement is The Loony Bin comedy club. Improv, stand-up, and sketch comedy shows are a great way to blow off steam, wind down, catch a few drinks, and enjoy the cool air as you chow down on hot and mild wings. Check their website for some of the newest, upcoming comics in the biz. In the Archer building, check out a new board game café called Shuffles. With an open-box board game library, milkshake counter and a full service bar at your disposal, you can D&D the night away or learn something new like Capital Lux. Baseball, soccer, golf — they’re all perfect activities during the summer for those who love the drama of athletic events. Individual training sports like yoga in the park, jogging and miniature golf are also some of Tulsans’ favorite summertime must-dos. Fortunately, we’ve got lots of opportunities for summer sports fun in Tulsa. For years, the Drillers (baseball) and Roughnecks (soccer) have seen some great athletes come through — Gabe Kapler, Ivan ‘Pudge’ Rodriguez and Sammy Sosa, to name a few. Charlie Mitchell, who actually played with Pele, even coached here for the Roughnecks back in the day. Thanks to ONEOK Field, you can catch soccer or baseball on a summer night with the family, and you’ll be reminded of those wonderful days when school was out and summer was one long holiday. Yoga is big in Tulsa. Many yogis gather for yoga in the park at places like Guthrie Green or Centennial Park and get the most out of their minds, bodies and souls. Doing yoga outside in the wide open is a rejuvenating experience. But yoga isn’t the only fitness activity you can enjoy outdoors. Jogging along the River Parks Trail, LaFortune or Turkey Mountain trails is fun exercise, and so is a bike ride on the bike trails along Riverside Drive. Tulsa also has some world renowned golf courses if swinging the sticks is your thing. Among the top 100 golf courses in the world would be Southern Hills Country Club, right here in Tulsa. Public courses like Mohawk, Bailey Ranch and Battle Creek are excellent places for the average Joe or Jane to grab a tee time and smash some balls down the center of the fairway, or the rough, whichever the way the ball bounces. Don’t forget about Cherokee Hills Golf Course, which is part of the Hard Rock Tulsa complex. For a more relaxed round of miniature golf, try out the All Star Sports Complex, Main Event, or the glow-in-the-dark course at Incredible Pizza. For levels of fun, get in the swing of things at FlyingTee in Jenks near the Arkansas River. The multilevel entertainment complex that is FlyingTee continues to be a popular day and night destination for families, friends and couples. 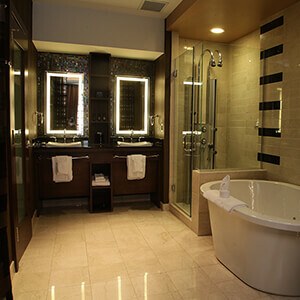 Guests can find climate-controlled hitting bays furnished with deluxe amenities and personal attendants. The interactive driving range is a good time for all, and the innovative technology lets guests test their skills through multiple types of games for both advanced players and beginners. Oklahoma’s state parks are as green as it gets during the summer, and it’s a shame not to at least take a day to appreciate how gorgeous they have become. Hills of lush green grass, mountains lined with tall pines, breathtaking waterfalls and thousands of miles of lakeshore are ready to be explored by anyone willing to stop and take it in. Exploring the wonder of the wide-open spaces and hidden away nooks and crannies of our state parks will make you wish summer would never end. A 77-foot cascading waterfall is truly a pleasure to see inside the scenic northeastern Oklahoma Natural Falls State Park. Hike up to the observation decks and view the splendor of the gorgeous land we live in. Tree covered valleys shade visitors from the summer sun, providing an escape from the rest of the world that can only truly be found in nature. Several areas of Grand Lake State Park have their own unique charm and natural atmosphere and are well worth mentioning, but the Twin Bridges area of the park is especially known for its quietness and excellent fishing. Take the family to stay at one of the 100 different tent campsites. Teach someone to fish in one of the best fishing holes in the park. Enjoy the volleyball court and horseshoe pits and fun the day away in this lazy little getaway off of Highway 37 close to Fairland. Family-friendly recreation areas and cabins surround the stunning lake at Greenleaf State Park. The community pavilions and shelters make it a fantastic spot for a summer celebration, not to mention the 18-hole miniature golf course. Volleyball and basketball courts are also available for a little friendly competition among the campers. Other state parks close to the 918 — Keystone, Lake Eufaula, Osage Hills, Sequoyah State and Tenkiller — are all beautiful in their own right. Just an hour or two away, these parks make the perfect summertime day trip. Along the way, some of Oklahoma’s prettiest roadside scenery awaits. Pools, splash pads, and water parks are great — but don’t neglect opportunities to enjoy your wet fun in the beauty of natural waterways. Many of the area’s state parks are connected to lakes — like Lake Keystone, Lake Tenkiller, and Fort Gibson Lake, to name a few. Many of these spots are within an hour or two of Tulsa, so it’s easy to get there and back in a day. Most invite visitors to fish, kayak, float on inner tubes, boat, and camp. When you’re planning your day trip or weekend getaway, be sure to research the different lakes to see what is unique to the area. Near Lake Eufaula, for example, you’ll find the small town of Krebs, which features fabulous Italian spots like Isle of Capri and Pete’s Place, and also one of Oklahoma’s oldest craft breweries, Choc Beer. Grand Lake is a great spot to visit for the Fourth of July weekend, when you can see fireworks from the nearby town of Disney across the water. At Lake Oologah, hikers will love the Will Rogers Country Centennial Trail — 18 miles of trail stretching from the spillway through scenic Kite Hill and north to beautiful Blue Creek Park. You’ve been working hard the last few months to prepare for this time of the year, getting your swimsuit body ready and all. Why not reward yourself for being so good by being bad? Nothing says summer like high-calorie sweet treats, ice-cold ice cream and tasty, melt-in-your-mouth gelatos from some of Tulsa’s best purveyors of cool treats and sweets. Rose Rock Microcreamery at The Boxyard is all about homemade, small batch ice cream that is fresh and creative, daring you to try a new flavor such as Smoked Watermelon and Lavender Honey. They also do affogato for coffee lovers, tasty waffle cones, and a lot of love for ice cream making. With the abundant selection of truffles, macarons, fresh nuts, fudge and other candies, Sweet Boutique is every bit as delicious as anything Willie Wonka could have envisioned. Swing by to taste test items, chat with the friendly owners, and satisfy your sweet tooth. Next time you’re wandering the Tulsa arts District in downtown Tulsa, be sure to pop into Glacier Confections. Glass cases of elegantly crafted truffles and other chocolate delights await you here — and you’ll find it hard to pick just one, so plan on buying at least a few to sample. They make it all in-house with the finest ingredients. It’s a great way to treat that special someone. With 16 flavors of artisan ice cream, Jenks’ Rustic Gate offers shakes, malts, sundaes and floats in addition to a large assortment of sweets and shaved ice. There’s even a patio if you want to get a little sun. Ice cream’s creamier Italian cousin, gelato is increasingly popular, and fortunately it’s easy to find in Tulsa. Visit Napa Flats for its fresh-made flavors, which can be enjoyed in their stop-in shop or as dessert after a sit-down meal. Swing by STG Pizzeria to check out its gelato counter. You’ll find just about any flavor you can imagine if you visit enough spots. If old-fashioned malts, shakes, and sundaes are more your jam, they all can be found at the soda fountain at Ida Red’s downtown location. Ida Red uses authentic ingredients used by soda fountains in the 1940s and 1950s to recreate a taste that is hard to find elsewhere. The New York style egg cream — a flavored soda drink that doesn’t actually use eggs as an ingredient — is surprisingly refreshing during the summer. If you’re looking for a sweet treat that feels a bit healthier than ice cream and chocolate, visit any of the area’s several Edible Arrangements stores. They all offer fresh fruit salads in single portions for walk-in customers. The Owasso location offers fresh fruit smoothies. All offer samples and small boxes of chocolate covered strawberries to-go. Bigger orders must be placed ahead of time, but they’re great for parties and gifts. From well-known national chains to innovative mom-and-pops, Tulsa has a fine share of places to shop — or even just to browse if you want to get out of the house without actually spending any money. Wander around the Promenade Mall, taking full advantage of its attached movie theater to make a day of your time there. And of course, stop by the Woodland HILLS Mall and enjoy a sweet time at Lolli and Pops for some candy treats while you enjoy the largest selection of stores in Tulsa under one roof. Walk along Jenks’ Main Street for antique stores such as Miss McGillicutty’s and River City Trading Post. Then head up to midtown to visit the amazing I-44 Antique Mall. And don’t forget to check out the vintage and new furniture and home items at 360º Home. For unique clothing that you won’t find anywhere else in the area, hit boutiques like Jules Boutique, Abelina’s Boutique, Beau & Arrow, and Modern Mess, or browse the vast selection of jeans, boots, and other Western wear at either of the two Drysdales locations. Locally themed T-shirts and other items can be found downtown at Boomtown Tees, Dwelling Spaces and Ida Red. The Children’s Orchard offers new and gently used children’s clothes. For an experience like no other, visit the shops at The Boxyard, built from shipping containers and featuring everything from science-themed items and clothing, to comic books and coffee. For art and locally made frames to display it, check out Ziegler Art & Frame, which is a ton of fun to browse because it’s so big. Or visit The Tulsa Stained Glass to check out their handmade items, get the tools to make your own, or sign up for a class to express your own creativity in glass form. Summer is a perfect time to take your indoor fun outdoors. Many of the activities you do inside during cold weather move outside during the summer. Movies and shows are no exception. And there are plenty of places around Green Country that feature an outdoor big screen, live music, and stage productions to fit the bill. For old-fashioned movie fun for the whole family, cruise on over to the Admiral Twin Drive-In. This dual-screened theater has been a piece of local history since it opened in 1951. Enjoy your choice of double features on IMAX sized screens from the comfort of your tailgate or pop-up chairs. Tickets are just $7 for ages 12 and up, and just $3 for ages 3 to 11. For family movies, visit the Riverwalk Amphitheater on Monday nights at 7 p.m.
Movies, music, plays, fitness, food — you’ll find it all at Guthrie Green in downtown Tulsa. This vibrant urban green space draws people for concerts every Sunday 2:30-6:30 p.m., food truck Wednesdays 11:30 a.m.-1:30 p.m., and free communal fitness such as yoga classes, boot camps, and partner fitness. Movie nights happen too, as well as special events that you can learn about on their website or Facebook page. If you haven’t ever been, the Picture in Scripture Amphitheater at the south end of Grand Lake is biblical fun for the whole family. For over 30 years, they’ve been bringing Bible stories to life through award-winning biblical dramas such as The Man Who Ran and The Elijah Factor. This year, you can catch the opening of a new show, The Damascus Road, about the apostle Paul’s conversion to Christianity. Shows take place June 29-Aug. 4 every Friday and Saturday night. A key to surviving Oklahoma summers that can ratchet up to temperatures in the 90s and 100s for days, even weeks, at a time? Knowing where to get into the air-conditioning while still having fun. We’ve got plenty of that here. Here are some spots where you can enjoy cool temps when it’s blazing hot outside. No doubt you have heard of the Philbrook Museum of Art, located in a 1920s villa with a stunning garden and outdoor movies during the summer, and the Gilcrease Museum, with one of the largest American West exhibits anywhere and gorgeous grounds to walk. But don’t forget other great options, like the Tulsa Air and Space Museum, the J. M. Davis Arms and Historical Museum in Claremore, the Oklahoma Music Hall of Fame in Muskogee, the Woody Guthrie Center in Tulsa, the Oklahoma Aquarium in Jenks, the Cherokee Heritage Center in Park Hills, and the Will Rogers Memorial Museum in Claremore, among others. With 24 branches around the area, the Tulsa City-County Library features a massively expansive summer events calendar for the 2018 Summer Reading Program. Check out http://‌tulsalibrary.‌org/‌events for specific info. The library also features various events throughout the year such as writing workshops, local author and artist events, cosplaying events, speakers, story time and other activities for children of all ages, onsite classes, and more. The Central Library in downtown Tulsa has flight simulators, a Maker Space that includes a 3D printer and vinyl cutter, an on-site Starbucks (the only Starbucks in a public library in the entire county), and other cool offerings. Of course, you can always visit one of the many movie theaters in the area. But also check out live performances, which happen all over the place in Tulsa and the surrounding area. There are plays put on by locals, musicals from touring companies out of Broadway, and everything in between. 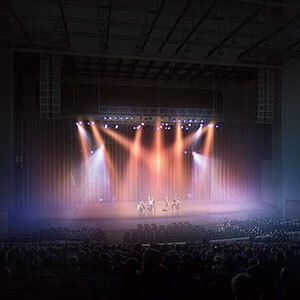 Some of our favorite spots for live performances include the Tulsa Performing Arts Center, Broken Arrow Performing Arts Center, the Tulsa Ballet, and the Tulsa Opera. Summer fun is hard work, isn’t it? So, why not schedule some time to pamper your body and relax your mind? 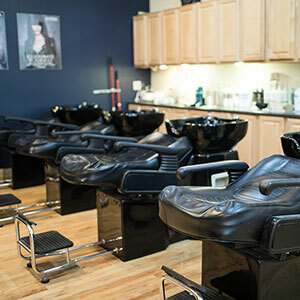 There are numerous spots to visit that offer massages, facials, manicures, pedicures, saunas, and other self-care options that will have you feeling revitalized in no time. 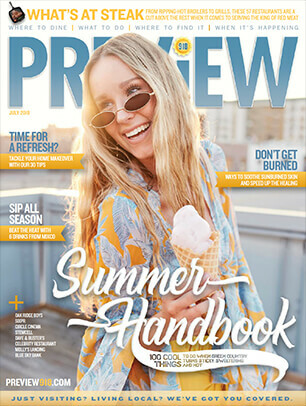 Among some of the area’s great places to check out are spa810, Indigo Spa & Salon, Four Seasons Spa, Aquarian Age Massage, Emerge Spa and Salon (at River Spirit Casino Resort), and the spa at the Hard Rock Tulsa. The natural beauty of Green Country is all around us and easy to see during the summer months. Some of the most relaxing getaways in the Tulsa area are our city parks. Many times, admission is free or relatively inexpensive, and you don’t have to fight crowds. Nearly nine miles of trails to get lost on (most under tree cover, we might add), shelters that provide much-needed shade, views of animals and plants city folk just don’t see every day and so much more — it’s all at Oxley Nature Center and Redbud Valley. Stop at the interpretive building first. Enthusiastic staff will answer any questions you have about the trails and wildlife with informative instruction before you start your awesome adventure. Tucked inside Woodward Park, the arboretum contains almost one hundred different trees and shrubs on display for study and appreciation. There’s no place else around where you can see and feel so many different species of trees. An education in nature awaits. Over 170 acres of nature is at our disposal just eight miles or so from downtown Tulsa at the Tulsa Botanic Garden. What a pretty drive it is to the heart of the garden. Once you’re there, discover gardens and trails galore. All along the Cross Timbers trail, the flora and fauna of the tallgrass prairies inspire you to take your time to enjoy it all. Start the day early so you can enjoy as much as possible. Visit again because there’s no way to see the whole thing. Let’s face it — Green Country loves a good drink. And with the vast variety of breweries, neighborhood bars, speakeasies, and a whole host of other options, you don’t have to search hard to find what you’re looking for. Here are some suggestions based on whatever it is you’re craving or how stylish or relaxed you want your drinking experience to be. Hops connoisseurs and home-brew fans enjoy every opportunity to taste a beer they’ve never tasted before. If that’s you, then you’re in luck, because Tulsa has several breweries you can visit. You’ll find locally made beers, ales, stouts and more from places such as Bricktown Brewery, Marshall Brewing Company, Dead Armadillo Craft Brewing, Renaissance Brewery, Cabin Boys Brewery, Prairie Artisan Ales, and others. Many local restaurants and bars serve local ales. And many places serve imports too. If what you’re craving is a lengthy list of choices to inform your palate, places like MixCo, McNellie’s, George’s Pub, and Maryn’s Taphouse and Raw Bar are all fantastic. Sometimes, you just want no-nonsense, flat-out bar service with ample liquors to pick from and bartenders who know how to mix a drink. The Tulsa Arts District has plenty, from The Hunt Club to Caz’s Pub. Neighborhood favorites like Fat Daddy’s Pub and Grille (south Tulsa) and Arnie’s (downtown Tulsa) are excellent choices where everybody just might know your name after all. There’s a ton of fun to be had in the great outdoors, many of them perfect for the family. We recommend taking full advantage of nature — just be sure to slather on plenty of sunscreen, don a hat, and grab a bottle of water before you head out. The little ones in your family will love a visit to the 85-acre Tulsa Zoo, with its new Lost Kingdom featuring Asia’s rarest species, as well as exhibits focusing on life in various environments. Give your kiddos a wonderland experience at the Children’s Discovery Garden (part of the Tulsa Botanic Garden). Visit the watery splash pads at one of the area’s many parks or visit the tot-sized amusements at the Bartlesville Kiddie Park. For the adrenaline junkies in Green Country, take a zip-line tour at POSTOAK Lodge & Retreat. You’ll soar over the tree canopy and enjoy a spectacular view while rushing through the air. Just south of Tulsa, grab the gang and head to Jandebeurs Motor Sports Park. It’s a 170-acre park and clubhouse in Okmulgee that offers prepped dirt bike tracks, racing and rentals. It has a kids-only track that’s fun and safe, as well as six other tracks and two trail loops for bigger bikes and riders. Super-friendly owners and staff offer lessons and plenty of guidance for anyone from novice and timid to free spirits and pros. Not in love with being out in the steaming Oklahoma heat? Have a 9-to-5 job that makes it hard to enjoy being outdoors at noon? Bit by a vampire and now you can’t bear the sunlight? We hear you. A lot of people prefer to have their summer fun in the cooler, shadier hours that hit after 5 p.m. Fortunately, Tulsa offers a lot to do after the sun goes down. Enjoy local art, live entertainment, and great food and drinks at downtown Tulsa’s First Friday Art Crawl. It’s a great way to check out the restaurants in that part of town, like Mexicali, visit Antoinette’s Bakery and Glacier Chocolates for sweet treats, and specialty drinks at places like Chimera and Caz’s Chowhouse. Stop by Soul City for local music and great bar specials just about every night of the week. Check out a concert at Cain’s Ballroom or the BOK Center. Lots of restaurants and bars host live music as well. And don’t forget to check out Utica Square’s Summer’s Fifth Night, which despite its name actually features live music every Thursday night through the end of August. If casinos are your happy place, we have plenty to choose from. At River Spirit Casino Resort, you can enjoy live performances at Paradise Cove, grab a stellar drink at Margaritaville, cool in the pool at the swim-up LandShark Pool Bar or treat yourself to pampering in the spa. At Hard Rock Hotel & Casino Tulsa, enjoy the rock star lifestyle in one of their VIP suites, which feature a fabulous view. Dine at McGill’s on 19 or Toby Keith’s I Love This Bar & Grill in between trips to the slot machines or table games. Catch some music at The Joint or swing away at the beautiful and challenging Cherokee Hills Golf Course. And keep an eye out for music, food, and other events at the Osage Casino Hotel, scheduled to open near downtown Tulsa this fall. Find out why so many people revere Route 66 by actually taking a day trip to explore parts of it. The magic of the ‘50s flair still can be found in the signs of old buildings along 11th Street — like the towering Meadow Gold sign. Check out the Blue Whale in Catoosa, a roadside America piece of kitsch that hearkens back to days when watering holes were more common than backyard pools. In terms of historical and artistic spots, visit the Totem Pole Park in Foyil, which displays the original, highly decorated creations of Oklahoma folk artist Ed Galloway. Car lovers should check out the cool vehicles on display at Darryl Starbird’s National Rod & Custom Car Hall of Fame Museum. There are tons of other spots along Route 66 you can visit too. So do a bit of research and then hit the road like Jack Kerouac. Men Are from Mars, Women Are from Venus Live! 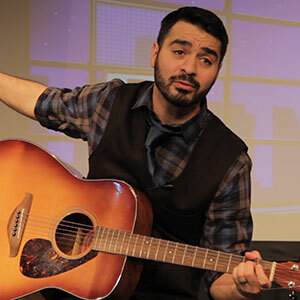 never lets up as the show featuring actor and comedian Amadeo Fusca flows swiftly from vignettes to stand-up, and from dating and marriage to the bedroom.